Curtis Memorial Hospital was built-in the 1960’s – a sophisticated medical facility at the time servicing the Great Northern Peninsula and many parts of Labrador. 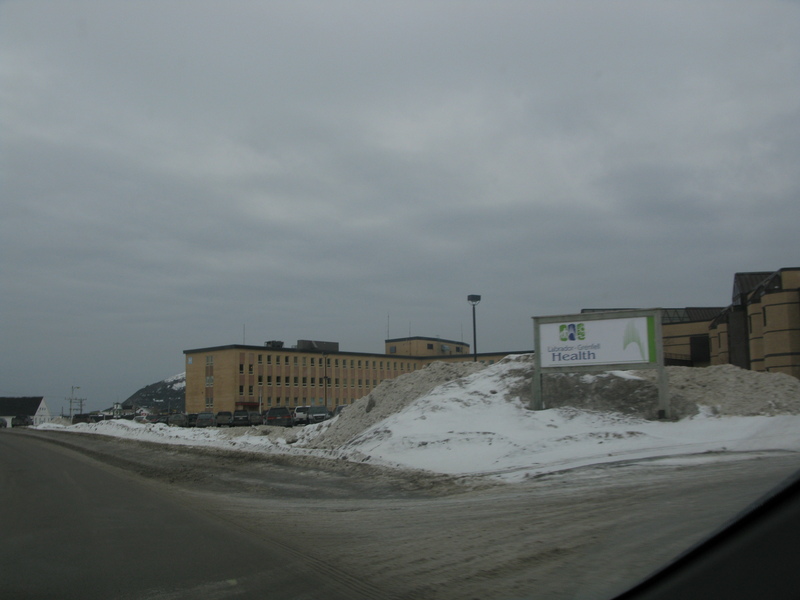 The John M. Grey Centre, a modern personal care facility is adjacent to the hospital and now falls under the banner of Labrador-Grenfell Health. 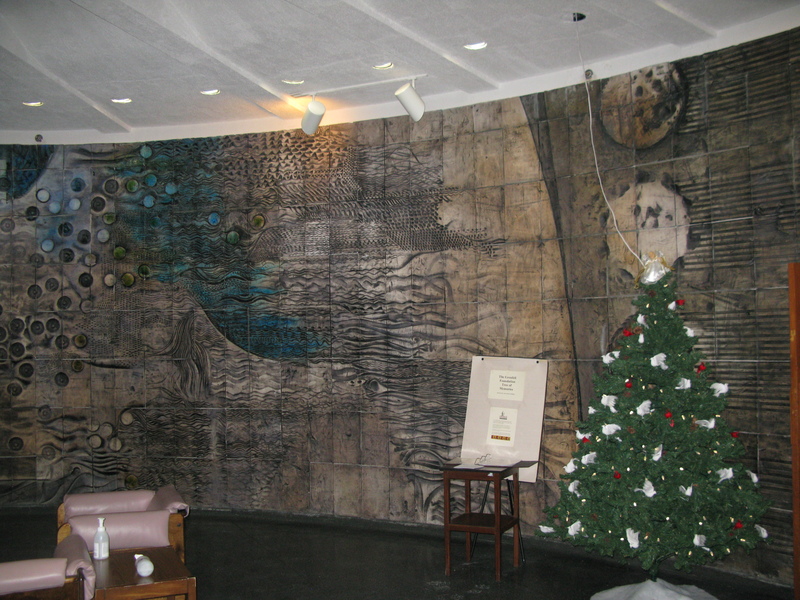 Unlike most medical facilities – this hospital has a rotunda with a unique offering of murals that are dedicated to the people of Northern Newfoundland & Labrador. These are the Jordi Boney Murals, which circulate around the Main Entrance. This ceramic masterpiece is forever a gift to the people and our way of living. One will see images of people, fish, trees, snowshoes and water. An important means of subsisting from the land & sea. If you have the opportunity the next time you are in St. Anthony pull into the Hospital and take a few moments to find the meaning behind the images circling the walls. The Great Northern Peninsula has a unique offering! Posted on January 22, 2012, in Art, Vacations and tagged canada, Great Northern Peninsula, Grenfell, Hospital, Jordi Bonet, Labrador, Mural, Newfoundland & Labrador, peninsula, The Straits White Bay North. Bookmark the permalink. Leave a comment.